2017 marked the final year of the IPC. If your club or interested group are interested in participating in this fun type contest, contact LIFT using the contact form at http://www.flyinlift.org/aboutcontact.html. LIFT is always interested in a friendly challenge. We can have friendly competition for two groups or more anywhere in the world. Previously: What is the International Postal Contest (IPC)? The International Postal Contest (IPC) is an invitation only contest held in April and September each year. 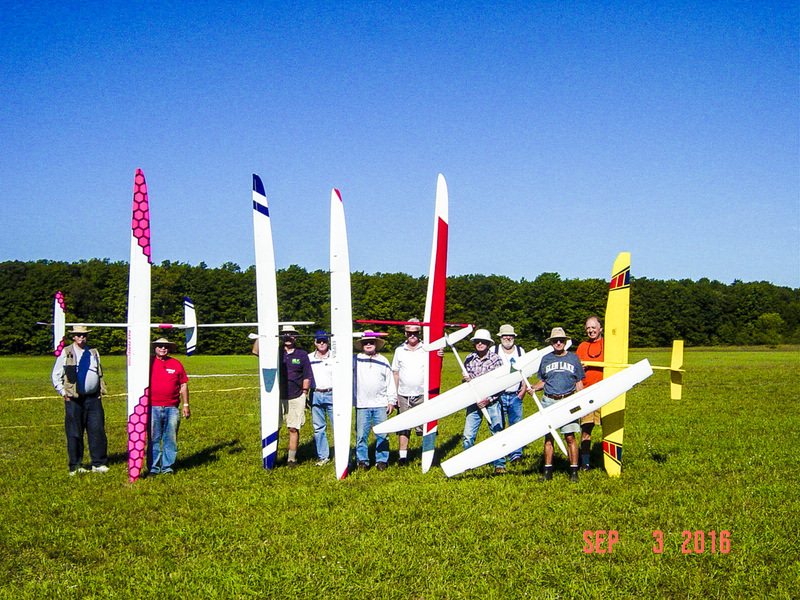 It is an opportunity for RC Sailplane pilots to fly in friendly competition with fliers from around the globe without traveling to distant locations. Each club's and individual pilot’s score is mailed to a coordinating club who assembles the scores. Unlike other contests, weather conditions vary on the specified days so alternate days may be chosen to allow all participants to fly in the best possible weather. NOTE: The International Postal Contest is currently seeking new clubs to participate in this contest. Participation will be approved by current clubs/groups currently flying in this contest. The competition will be known as the INTERNATIONAL POSTAL CONTEST (IPC). The International Postal Contest will be held between model clubs, flying groups and associations world wide, on an invitational basis. Each country will be represented by no more than two clubs, flying groups or associations at anyone time. Should a club, flying group or association drop out of the IPC, another club from that country can be invited to take it's place. The official language of the contest will be English. · The competition will be held twice in each calendar year. The first occasion will be on the last weekend in March of each year. The second occasion will be on the last weekend in August of each year. · Should participants of any club not be able to fly on the designated weekend due to adverse weather or some other pressing circumstance, the event may be flown on the following weekend or the flying of the event may be postponed for a total of up to three weeks (four weekends in which to fly the event). · It is permissible for competitors scores to be recorded on different weekends and submitted as a single team score if conditions do not allow all competitors in that team to fly their five rounds on one day. · Once a competitor has embarked on their flights they must retain any scores recorded - they cannot discard poor flight scores in order to re-fly the competition in better conditions the following weekend. · This task must be completed within 9 minutes from the order of the starter including the towing time. Any number of flights may be attempted within this period but only the last attempt may be scored. · One point will be awarded for each full second from the time the model is free flying to the time the model comes to rest, up to a maximum of 360 points (6 minute maximum), for each full second of flight within the working time. · No points will be awarded for flight time in excess of working time. The free flying time of the model commences when the model is released from the towline. · One point will be deducted for each full second flown in excess of 360 seconds (6 minutes). · Additional points will be awarded for landing, depending upon the distance from the spot, marked by the organizer, according to the following principal. · The distance is measured from the model nose when at rest to the spot. · No points will be awarded for the quality of the landing. · No landing bonus will be awarded if the flight time exceeds 390 seconds (6.5 minutes). The measured distance is rounded up to the nearest higher meter. · For models still in the air when the 9 minutes expire, the elapsed flight time only will be taken into consideration for scoring, without any additional points for the precision landing. The total length of towlines must be as follows. · Hand Towing: must not exceed 175m when tested under a tension of 2Kg. · Electrical Powered Winch: line length must not exceed 400 meters. · Upwind turn-around devices, which must be used, shall be no more than 200m from the winch. An automatic means must be provided to prevent line from unwinding during launch. · Hand Operated Pulleys, bungees, and Hi-Starts: must not exceed 175 meters when tested under a tension of 2 Kg. One end of the towline must be attached to the ground during launch. · A club may have as many competitors taking part as it wishes. However only the top five scores will be counted towards that club's team score. · Each individual will fly a total of five rounds of the F.3.b. Duration Task (as previously detailed), each round giving the competitor a possible 460 points, with a possible 2300 points for five rounds. · The scores of the top five fliers in each club will be submitted as that club's team score; a possible total of 11,500 points. (More than five scores may be submitted for the interest of other competing clubs). · The name of the club. · The name of each flier. · The score for each round: Time, Distance, Points Scored. · The total score claimed for that club. 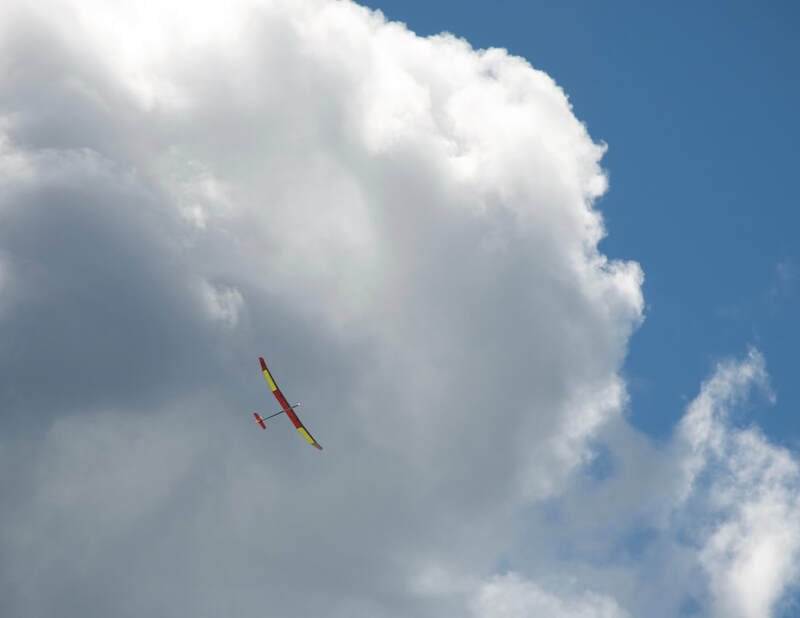 It is encouraged (not required) that clubs also publish what aircraft each flier was flying and the weather conditions on the day of the contest and any photographs of the pilots and aircraft for publication on IPC web sites publish by participating clubs. · A full listing of the scores for each participating team. · A full listing showing the relative place of each pilot. · The coordinating club will list results on their web pages in a section titled IPC Contest. Events will include 2 Meter, Unlimited and RES on Saturday the 8th and Woody AILES and Radian (including similar aircraft) on Sunday. Mid Summer Contest for Woody Type Aircraft. Events will be: 1. Unlimited - Woody gliders, 2. ALES - Woody, and 3. RES – Woody. Ray Hayes Woody scoring and construction rules will be used for all events. This is what we dream of all winter and do during the warmer months.